The Vice President, Dr Mahamudu Bawumia, has observed that the principles of the centre-right political parties that promote democracy, free market economy and freedom, underpinned the system that would unleash the productive capabilities of the people and enhance their welfare. He noted that those values historically demonstrated how to liberate the people from the shackles of poverty and deprivation and brought prosperity to the people and called for the inclusion of the people in all development processes. He has, therefore, urged members of the Democrat Union of Africa (DUA) and the International Democrat Union (IDU), which believed in the centre-right ideologies to support each other to succeed in their respective countries for the betterment of their people. Vice President Bawumia made the call when the executive and members of the Democrat Union of Africa, International Democrat Union and the leadership of the New Patriotic Party, paid a courtesy call on him at the Jubilee House, in Accra, on Monday. Vice President Bamumia said it was useful for members of the Organisations to come together to share ideas and ensure the principles of democracy were embedded in their dealings for inclusive development. It was against this backdrop, he said, that the ruling NPP Administration, rooted in the United Gold Coast Convention (UGCC), with the motto: “Development in Freedom”, had been implementing policies and programmes to enhance the wellbeing of the people. The Vice President noted that, upon assumption of office in 2017, the Nana Akufo-Addo-led government had been implementing digitisation policies, including the issuance of the national identification cards to uniquely identify everybody, mobile money payment interoperability to ensure financial inclusion and other human-centred policies, aimed at enhancing inclusiveness of the people in the development processes. 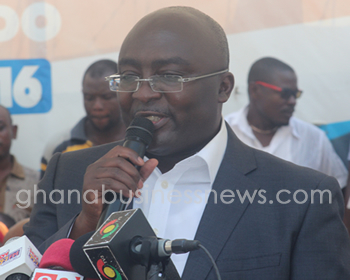 “We believe that, that is key and critical for prosperity of the nation,” Dr Bawumia pointed out. He noted that in a situation where there was more transparency and accountability in the development space, then the political party stood the better chance of winning an election. He expressed delight that all the 15 member countries of the Economic Community of West African States (ECOWAS) had democratically elected leaders and was of the belief democracy was gaining roots in the sub-region and underscored the need to continue entrenching democracy for the betterment of the people. This, he believed, would fast-track the development of the sub-region and the world at large, and called for continued cooperation among members of the Organisation for the betterment of the people. Mr Christian Kattner, the Secretary-General of IDU, in an address, noted that, the Organisation had more than 80 political parties worldwide and interested in Africa because it wanted more support to espouse the principles of democracy, free market economy and freedom on the continent. Those cardinal principles, he said, were critical to attract investments onto the continent, therefore, the Organisation had been fighting against anti-democratic governments and institutions and ensured political parties with like-minded ideologies come into power for the wellbeing of the people. 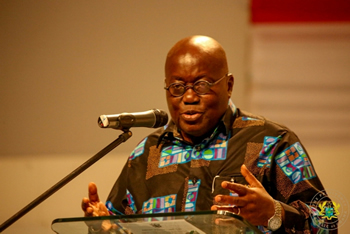 He described Ghana as the “lighthouse” for espousing the ideals of the Organisation, which is improving the welfare of the people and underscored the need for members to network and support their friends and partners who were in difficult situations to gain power in their respective countries. Some executive of the DUA and IDU present include Mr Peter Mac Manu, a Vice President of DUA, Mr Freddy Blay, the National Chairman of the NPP, Mr John Boadu, the General-Secretary of the NPP and the Conservative Party, UK. The leadership of DUA presented a citation to President Nana Addo Dankwa Akufo-Addo in acknowledgement of his contribution to the Organisation and conferred on him the Honorary Patron of the DUA. It was received on his behalf by Vice President Bawumia. The appointment of President Akufo-Addo as Honorary Patron is intended to serve as a great example for other IDU sister parties to learn on how to gain power with a clear conservative focus, programmes to give prosperity and stability to the people of their nations. The meeting was attended by representatives of DUA from 14 African countries, including Morocco, Uganda, South Africa, Equatorial Guinea, Cote d’Ivoire and Mozambique. Also in attendance were the Conservative Party of the United Kingdom, International Democrat Union (IDU) and Konrad Adenauer Stiftung of Germany. The International Democrat Union is an international alliance of centre-right to right wing political parties. It is headquartered in Munich, Germany, and currently chaired by Mr Stephen Harper, the former Prime Minister of Canada. The Organisation, established in 1983, provides a forum for political parties holding similar beliefs and ideologies to exchange views on matters of policy and organizational interest. The ruling New Patriotic Party(NPP), a member of the DUA, would host the representative of the DUA at a three-day conference from February 3-5 at the Labadi Beach Hotel, aimed at developing a new structure and legal framework to elect a new DUA board to steer the affairs of the Organisation. The meeting would focus on re-launching its regional organization and the DUA, which would serve as a platform for African member parties to exchange ideas, best practices and receive training for campaigning and governance. It would connect like-minded organizations of the centre-right political parties in Africa to help them win political power and govern well.